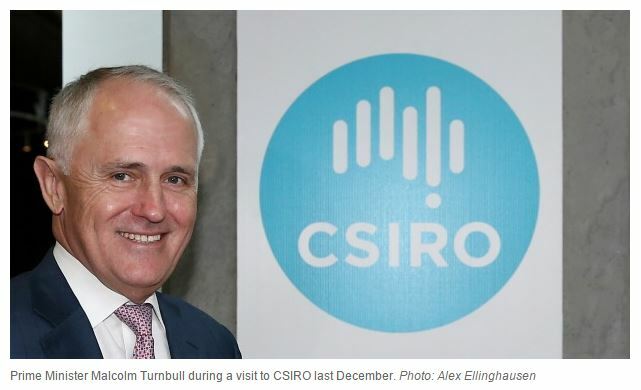 Deep jobs cut made by CSIRO…..
As reported in this Sydney Morning Herald article its looks like up to 110 positions in the Oceans and Atmosphere division will be cut, and similar reduction in the Land and Water division. According to the CSIRO’s chief executive Larry Marshall we now understand and can model the Earth’s climate system so well that we don’t need all those smart climate scientists to do basic fundamental research. “CSIRO pioneered climate research, the same way we saved the cotton and wool industries for our nation,” Dr Marshall said. “But we cannot rest on our laurels as that is the path to mediocrity. “Our climate models are among the best in the world and our measurements honed those models to prove global climate change,” he said. I guess we should now stop teaching our Marine Science students about how the climate and coastal systems work and just focus on how to build sea walls as sea level rises.